“The Eaters Of Light” feels like a throwback to a different era of Doctor Who. That isn’t surprising given the episode’s writer is Rona Munro, the first classic series writer to pen an episode for the revival and whose 1989 story “Survival” served as capstone for the show’s original 26-year run. 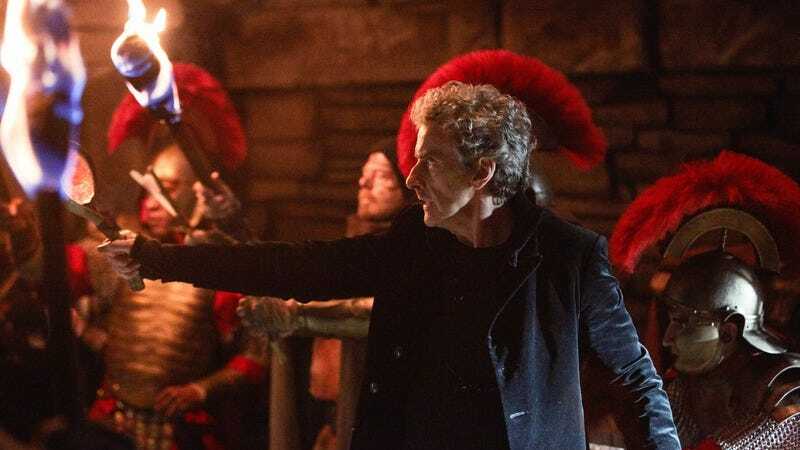 The episode’s retro feel leaves it open to many of the same criticisms of “Empress Of Mars” that were in last week’s review, but Munro has an advantage over Mark Gatiss: Her first encounter with Doctor Who was in one of its most experimental phases. 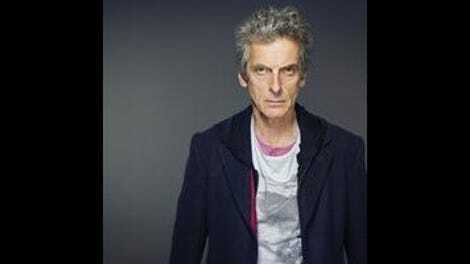 The show made one last doomed bid to stave off the end by hinting at darker depths to Sylvester McCoy’s Doctor, by creating a brash, assertive companion in Ace who was consciously more a storytelling focus and (at least theoretically) more reflective of actual young people, constructing multi-story arcs that culminated in showdowns with powerful villains, and—particularly in “Survival”—setting some of its stories in places recognizable as modern-day Britain. In other words, those last couple of McCoy seasons anticipated a lot of Russell T. Davies’ innovations when he brought the show back in 2005, and there’s a feature on the “Survival” DVD that will proudly make that argument. Given all that, it’s perhaps easier for Munro to slip back into Doctor Who nearly three decades after her last script, but the greatest commonality between “Survival” and “The Eaters Of Light” is the one part of the McCoy era that the new series has largely abandoned. All the best seventh Doctor stories are weird, full of elliptical storytelling and mysticism and a willingness to prioritize themes and big ideas over rigorous logic. You could argue a handful of stories from the past 10 seasons sort of fit that bill, but “The Eaters Of Light” is the new series embracing McCoy-era levels of strangeness. There are the talking crows who adopt the name of the lost Pict warrior as their cry for all time. There’s the bizarre mechanics of the interdimensional gate hidden within the cairn, which slows down time to the extent it’s still possible to hear the soldiers’ battle march nearly two millennia later. The simple choice of time and place lends the episode a tremendous, distinctive atmosphere, with Munro’s script and Charles Palmer’s direction both selling the idea that this ancient Scotland, found beyond Rome’s imperial frontier, represents the edge of the known world and, with that, our conventional sense of understanding how things work. But tonight’s episode isn’t merely an exercise in empty eccentricity. Like Sarah Dollard’s work on “Thin Ice,” Munro uses her setting of Roman Britain to interrogate imperialism. She skillfully mixes the political and the personal here: The Roman army is a weapon premised solely on overwhelming force, one that relies on taking hundreds of scared teenagers and siccing them on a bunch of peaceful farmers who are in the way. The empire is terrible and vast, but only in aggregate, and that reality makes the cowardice of the surviving soldiers all but inevitable. Nor is there any alternative but to attack: the Roman army was the biggest hammer in ancient Europe, so of course every problem looked like a nail. All these points are stronger for the fact the Doctor isn’t the one making them. Instead it’s Bill and later Kar who diagnose much of what’s wrong with the Roman worldview. For the Pict, her wisdom is most painfully earned, while for Bill her insights are a mark not just of how much she has learned from her time in the TARDIS but of the perceptiveness that earned her a spot there in the first place. The story’s most incisive moment comes when Bill leads the surviving Romans into the Pict meetinghouse. “The Eaters Of Light” has Bill reach the rather tardy realization that the TARDIS translates languages. She makes up for being a bit slow on the uptake—seriously, the Ice Warriors’ perfect English wasn’t any sort of clue, to say nothing of the Daleks all the way back in her debut?—by correctly working out the TARDIS translates telepathically, without any hints from the Doctor. What’s more, she’s the first person in the show’s history to work out the deeper meaning of this narrative convenience: Romans and Picts who saw each other as violent monsters recognize they are all just a bunch of scared children once they start speaking the same language. Compared with how a similar bit of creative deconstruction would play out in a Steven Moffat script, Munro underplays the moment, deemphasizing the self-conscious cleverness to keep the focus on what the TARDIS’ gift means to the Doctor and those he meets along the way. A common language is no panacea—history’s endless list of civil wars is proof of that—but it can provided a desperately needed reminder of common humanity. That the reminder comes from the show’s resident alien and his magical box is an intriguing irony, one that sort of ties in with the Doctor’s plan to sacrifice his future guarding humanity against the monsters on the other side of the gate. After all, that’s been his lives’ work. It’s in this final bit where Munro’s script tips from elusive and thoughtful to just a bit mushy. The basic idea seems sound, but the rules of how the gate work aren’t clear enough for the characters’ sacrifice to land properly. If the Doctor figured he would spend multiple regenerations holding back the eaters of light, how much could humans with their pifflingly short lifespans really hope to accomplish? Even that might be more readily navigable if the visuals could distract from the scene’s script deficiencies, but both the monster and the dimensional gate are wonky Doctor Who CGI at its wonkiest. A slower, more meditative episode like this could really benefit from a crescendo of a climax, and the cairn scene falls short in that regard. In looking for new series precedents to help get my head around “The Eaters Of Light,” I keep coming back to some seriously great episodes: An ancient village under siege recalls “The Girl Who Died” while the Romans can’t help but echo “The Pandorica Opens,” the critiques of the Roman Empire build on those of the British Empire in “Thin Ice,” while the Doctor articulates some of the same anti-war sentiments that elevated “The Zygon Inversion.” But the comparison I keep coming back to is “Vincent And The Doctor,” which is a similarly slower-paced, more thoughtful episode with a less than convincing monster, one that gets by primarily on mood and emotion. The big difference is that episode features an all-time great supporting turn from Tony Curran as Vincent van Gogh, and tonight’s guest characters are largely fine but unmemorable. Plus, “Vincent And The Doctor” revealed its monster was blind and wounded, give it distinct motivations that deepened the story, whereas “The Eaters Of Light” offers a monster who is little more than plot device. At its best, the episode crackles with ideas, most of which are firmly rooted in characters and cultures—consider the great scene where Bill learns her exclusive attraction to women makes her “limited” by Roman standards. (I leave it to others to debate the veracity of that outlook, but it works regardless as an illustration of how our society’s norms and mores are not eternal.) Where “The Eaters Of Light” struggles is bringing those disparate ideas together in service of a story that’s greater than the sum of its parts. The result is a whole bunch of thoughtful scenes that feel unlike standard new series fare. That positions itself as a kind of mirror image of last week’s “Empress Of Mars,” whose chief virtue was a lot of its individual elements were fun. That episode was too lightweight for me to enjoy as much as others did, but this is the sort of undercooked I’m more eager to embrace. “The Eaters Of Light” isn’t quite what this season needs to return to its early form, nor is it quite up to the standard of Munro’s “Survival,” but it’s a welcome break from the Doctor Who norm. As is often my preference with the show’s gradualist arcs, I’m holding off on saying all that much about what’s going on with Missy until we get something a bit meatier to work with. This tacked-on scene works better than the one in “Empress Of Mars,” but it does still feel like the show is straining to work around the fact that Michelle Gomez can only make full-fledged appearances in three episodes—“Extremis” and the upcoming two-parter—and glorified cameos in “The Lie Of The Land,” “Empress Of Mars,” and now this. Still, that trailer for next week has me very excited to see where this is going. Much as the Missy arc has been a bit rudderless post-“Extremis,” it looks like it could be about to get back on track in a big way. Rarely has something screamed “deleted scene!” quite as hard as Nardole spending the episode in his bathrobe for no apparent reason. Still, the look suits him—very Arthur Dent—and makes it all the funnier when he ingratiates himself among the Picts and gets his face painted. Now that Rona Munro has officially broken the seal on the show bringing back classic Doctor Who writers, one can’t help but wonder about other potential candidates to return and pen an episode. Because we are nearly three decades removed from the end of the classic show, most options will necessarily come from toward the end of the show’s run. The trouble is most classic series writers haven’t remained nearly as active as Munro has, so it’s hard to imagine most being brought back. The main, oft-mentioned candidate remains Marc Platt, who wrote “Ghost Light”—which is even weirder than “Survival”—and has at least written a ton of Big Finish audios over the past 15 years. I’d also be intrigued to at least get ideas for stories from the likes of Christopher Bailey and Barbara Clegg, whose scripts for “Kinda” and “Enlightenment” respectively represent two of the most original, genre-breaking efforts of 1980s Doctor Who. I like Doctor Who when it’s weird, what can I say?